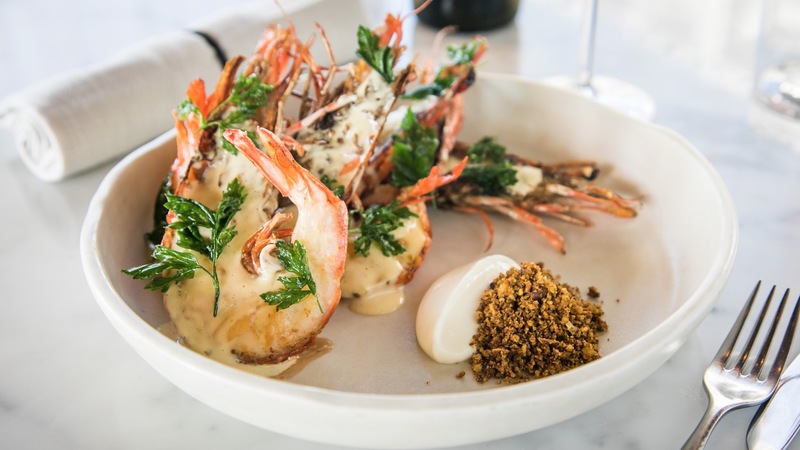 Whether you're after a quick bite, a business lunch or keen to splash a bit of cash on a fancy dinner, there are plenty of places to wine and dine in the Sydney CBD. These are our top picks. Want more top chefs? 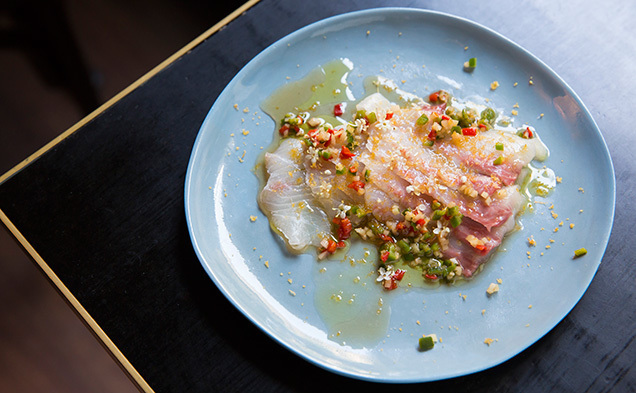 Check out our guide to the 50 best restaurants in Sydney. Want something a little more casual? 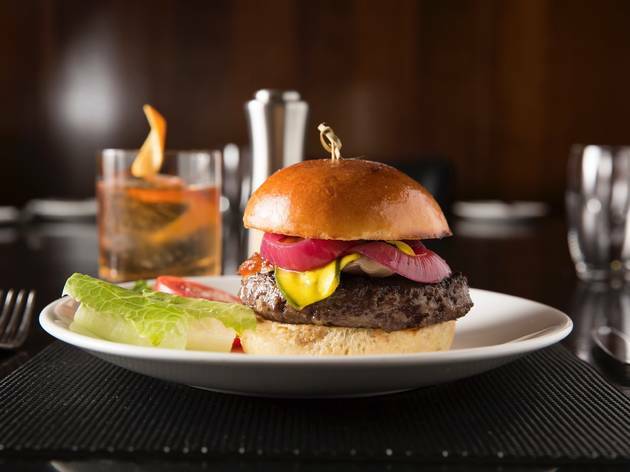 Check out our guide to the best burgers in Sydney. As soon as you walk through the big wooden doors of Hubert you feel instantly detached from the outside. This is because they have excellent attention to noise control (acoustic ceilings and carpeted floors), which also means you can actually hold a conversation over lunch. As you climb down two flights of stairs into the city’s depths, it feels like you’re walking back in time (Belle Époque? Post war Paris?). Your destination: a music-filled, candle-lit restaurant buzzing with people. Order up the chicken to share, or the steak frites. They’ll tell you to go for the Peking duck. They’ll tell you it’s a juicy bird with crisp skin and sweet meat. And they’d be right. It is. This is just one of the many roast delights at Mr Wong – a two-level Canto-extravaganza offering everything from fancy dim sum to green beans stir-fried with pork mince and house-made XO sauce. 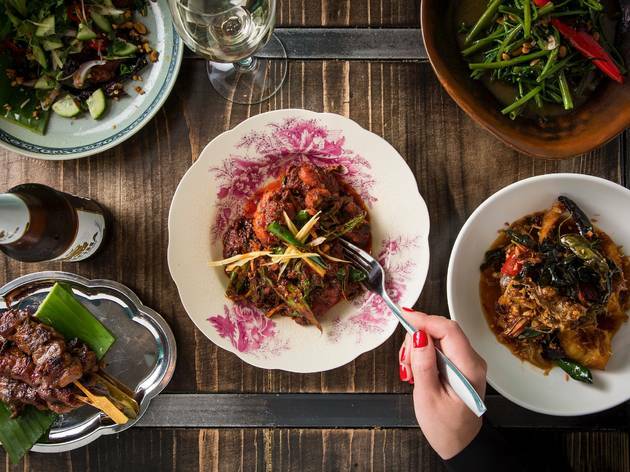 David Thompson has brought his Long Chim empire to Sydney to stoke the flames of our South East Asian eats. 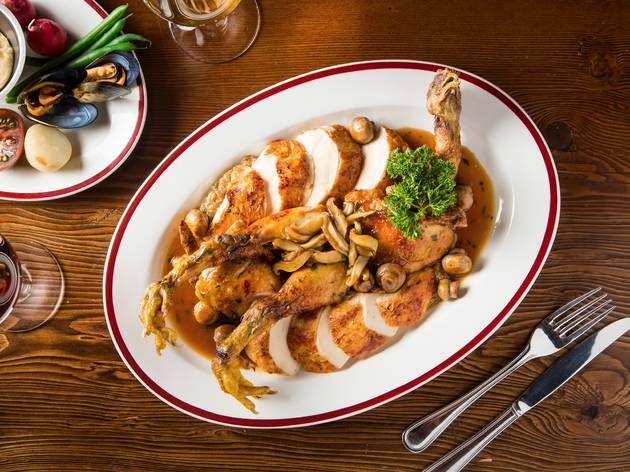 Order up the $45 set menu – it’s an affordable treat with all the good bits in reasonable portions. You'll kick off with a serve of the famous marinated pork skewers, which come charred and tender with little ribbons of fat, followed by an aromatic curry, or perhaps deep fried squid with crisp fried peppercorns. Finish with buttery soft folds of roti topped with thick drizzles of condensed milk – it's like capping your night off with some crisp banana pancakes, which is oh so right in a weird way. 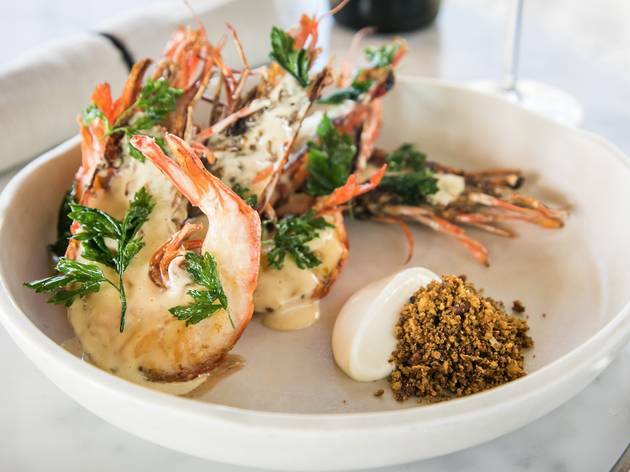 Hit peak Sydney with seaside seafood from Cirrus, the fourth venue from culinary kingpins Brent Savage and Nick Hildebrandt. Their trophy cabinet is already chockers thanks to Monopole, Bentley and Yellow, but the collection wanted an aquatic addition. 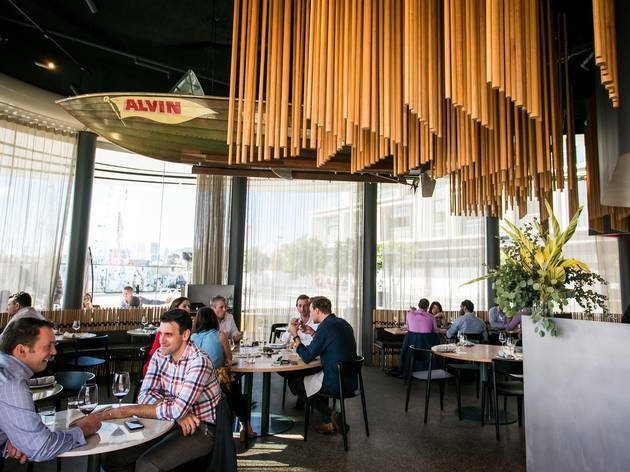 When NOMA moved out, Savage and Hildebrandt moved in and built something Sydney was sorely lacking: an elegant seafood restaurant by the water that'll impress the socks of anyone you bring here. The first thing that hits you when you enter the 1936 City Mutual Building – considered by many the finest Art Deco building in Australia – isn't the pristine stone and brass work. It's the smell. Push through the heavy brass doors and be greeted by a mingling of grilling meat, wood fire and leather. 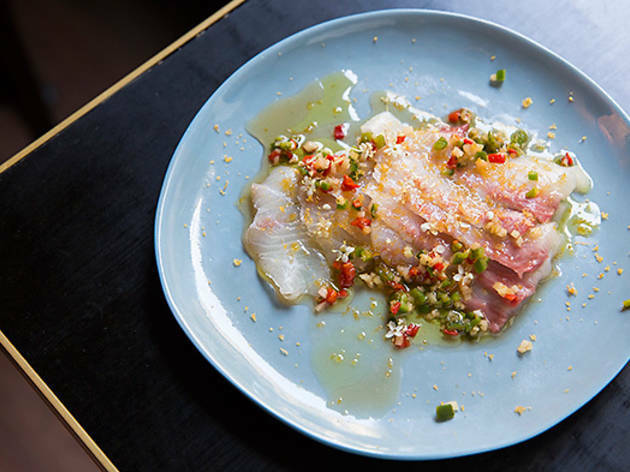 This is Sydney's best-smelling restaurant and it's enough to make your mouth water even before you sit down. Breathe it in as you look up at the grandeur of the room. 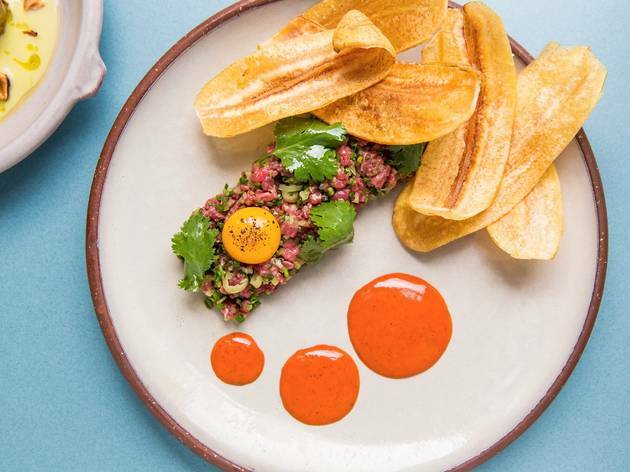 You might not expect a seriously schmick wine bar and restaurant housed in the original Fairfax building in the heart of the CBD to be all about inclusivity, but the Bentley Restaurant and Bar by sommelier Nick Hildebrandt and chef Brent Savage wants everyone to have a good time. If you’re not here for the full sit-down dining experience that’s A-OK. But to get the most out of this venue it's worth ordering a full meal. You won't regret a bite. Mike is back (hurrah! ), having just opened No. 1 Bent Street in the CBD. Mr McEnearney has gone a bit fancy. This isn’t really all that surprising, seeing as he was once head chef of Rockpool (RIP) just down the road. Here at No. 1 Bent Street, he’s not just a headline; he’s on the pass. But maybe we shouldn’t call it a pass, because this looks more like a home kitchen than a commercial one. His ‘pass’ is a kitchen island backed by a flaming wood-burning oven. 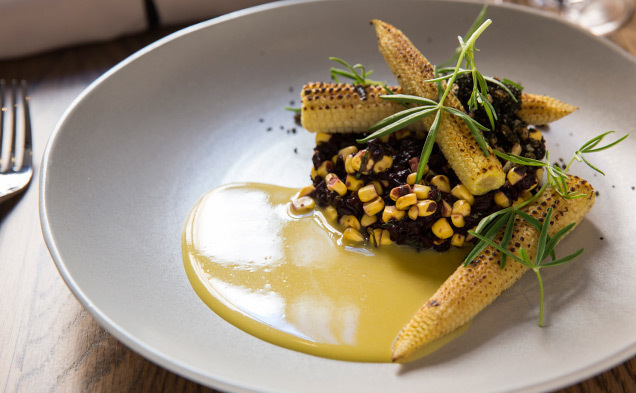 You may be in a restaurant but it feels like you’re also in McEnearney’s home. 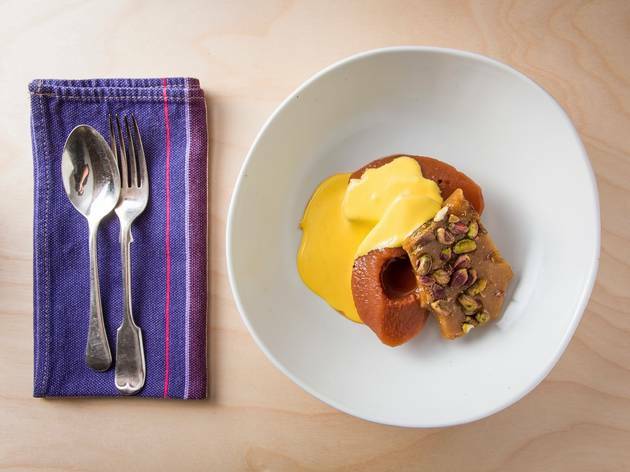 The seasonal menu here changes virtually every day – one day you may be having trout served with popping roe and a pared-back fennel and radish salad dressed, the next garlicky lamb forequarter. A main of casarecce (short lengths of slightly curled pasta) with duck ragu and eggplant showcases a classic Berta approach to cooking: homey, simple and exactly what you want on a cold night. Whatever you end up having at Berta it's guaranteed to be fuss-free, homely and excellent. 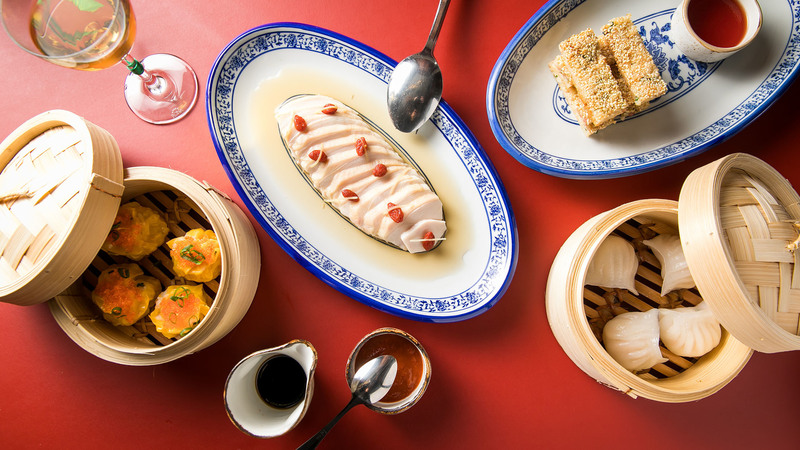 Everything old is new again and Neil Perry has stepped up as the champion for old-school Chinese with the opening of Jade Temple. 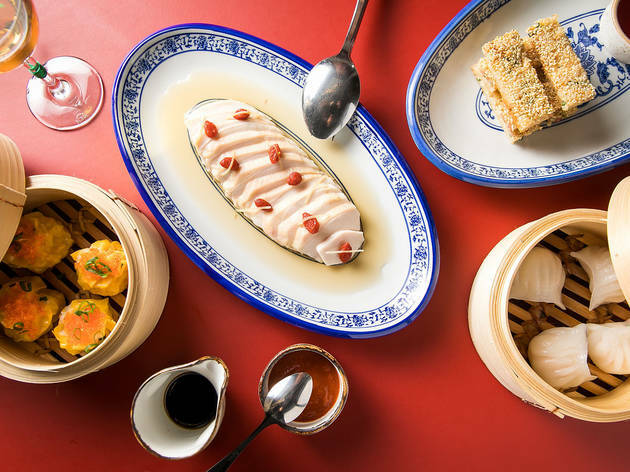 Perry shuttered his fine diner, Rockpool 1989, earlier this year and announced that in its place would be opening a snazzy Cantonese restaurant. 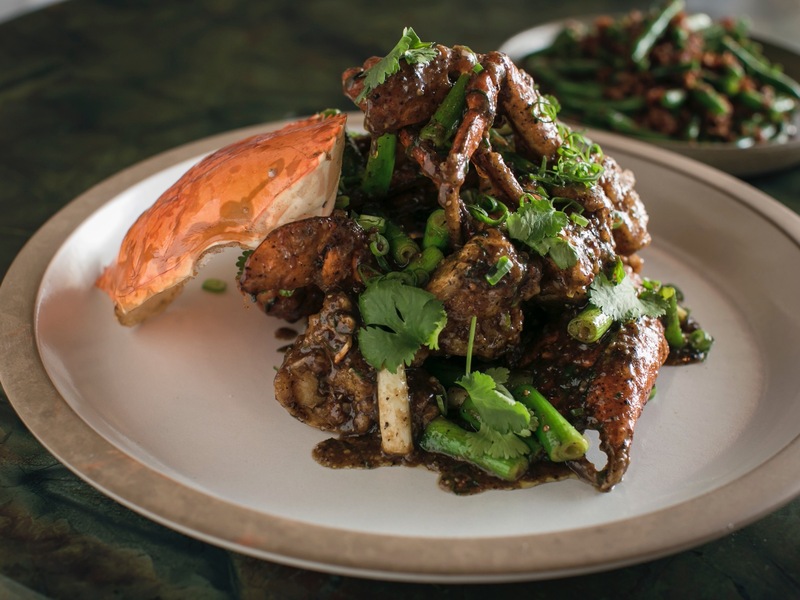 Perry and head chef Peter Robertson would be going back to the future, giving the likes of salt and pepper squid, prawn toast and kung pow chicken lauded spots on the menu. 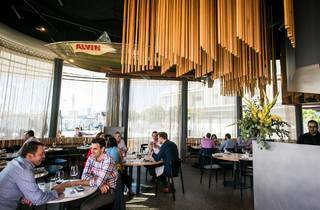 We now have a very good reason to get dressed up on a Sunday and head into the city for a boozy lunch. 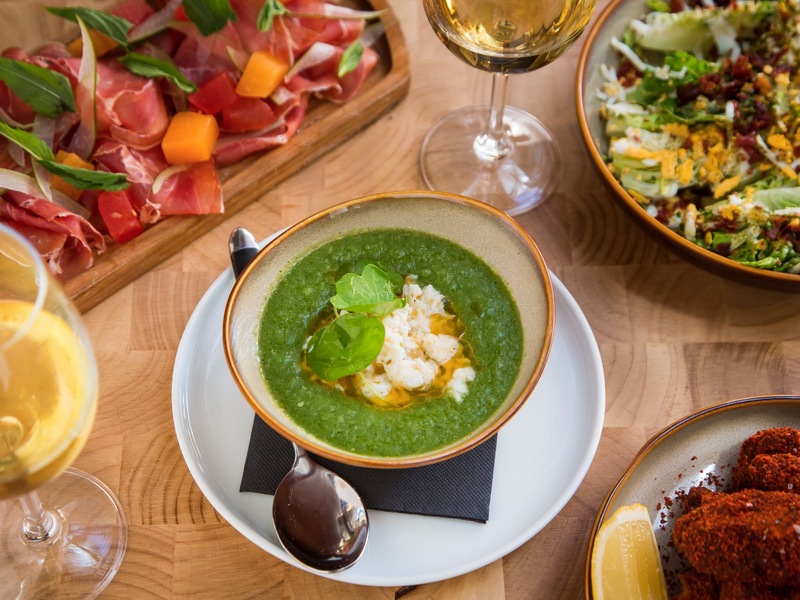 We hope you don’t have to sign off any multi-million dollar deals or negotiate with any clients after lunch at Balcón by Tapavino, because all the wine you were unable to resist is going to make that a lot harder to navigate. And it’s all well and good to say that you shouldn’t have gotten carried away, but who can blame you when they’re pouring the 2009 Flor de Garnacha that is a beguiling mix of heavy oak and that nutty, sherry-like oxidation? If you’re wondering how you got into this pickle in the first place, the answer is practice. 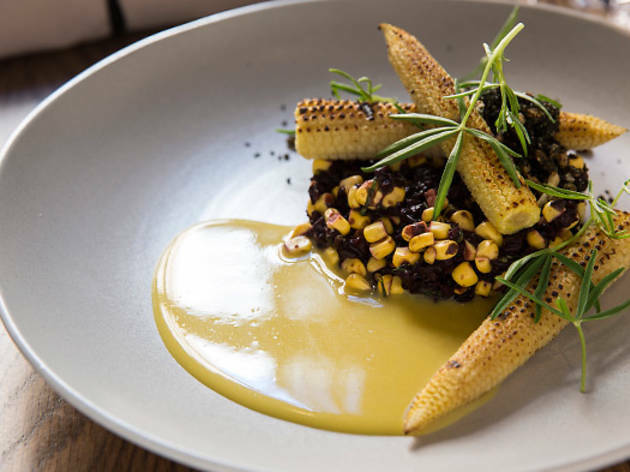 Want more of Sydney's best restaurants?